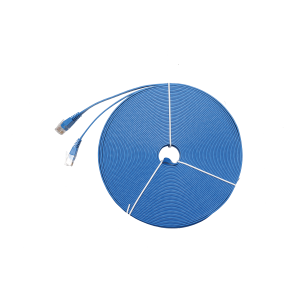 This CAT6 Ultra-Thin cable provides universal connectivity for LAN network components such as PCs, computer, servers, printers, routers, switch boxes, network media players, NAS, VoIP phones, Xbox One, Xbox 360, Switches, Routers Modems, PS3, PS4, Computer, Laptop, Printers, Network Printers, Network Attached Storage Devices, Patch Panel etc. 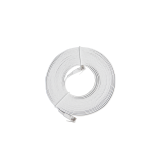 High Speed: High Transmission Performance and Low Signal Losses., transmit data at speeds up to 1000 Mbps. 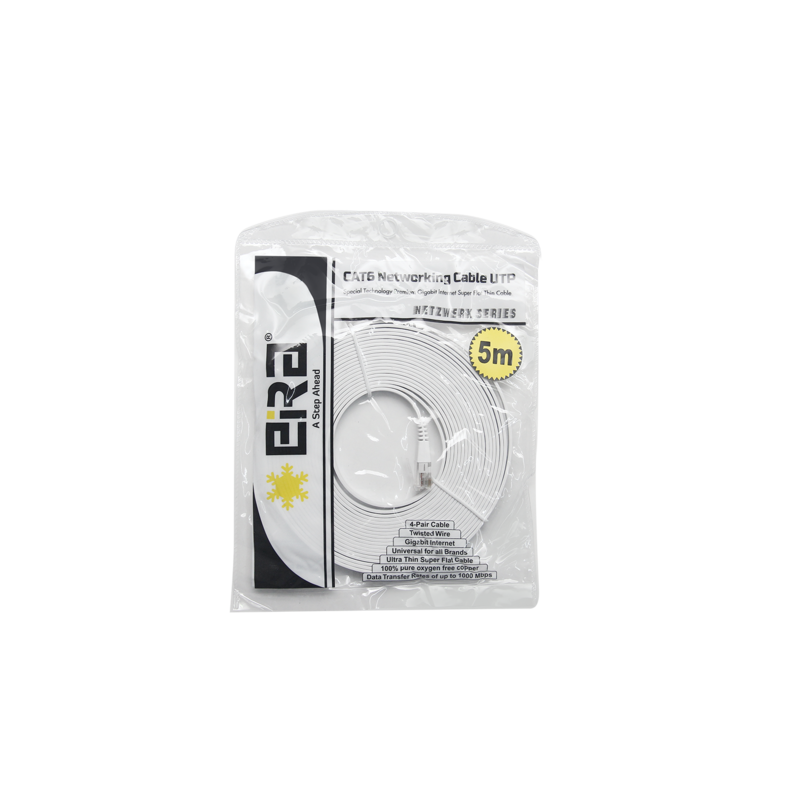 Made up of 100% pure oxygen free copper wire and high quality RJ45 male to male connectors provide excellent conductivity for accurate high-speed transmissions. 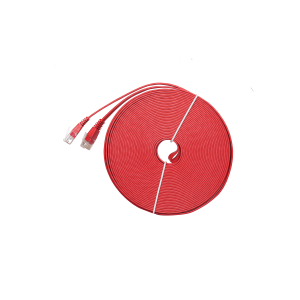 Constructed with 4-pair UTP (unshielded twisted pair) cable to minimize noise and interference. 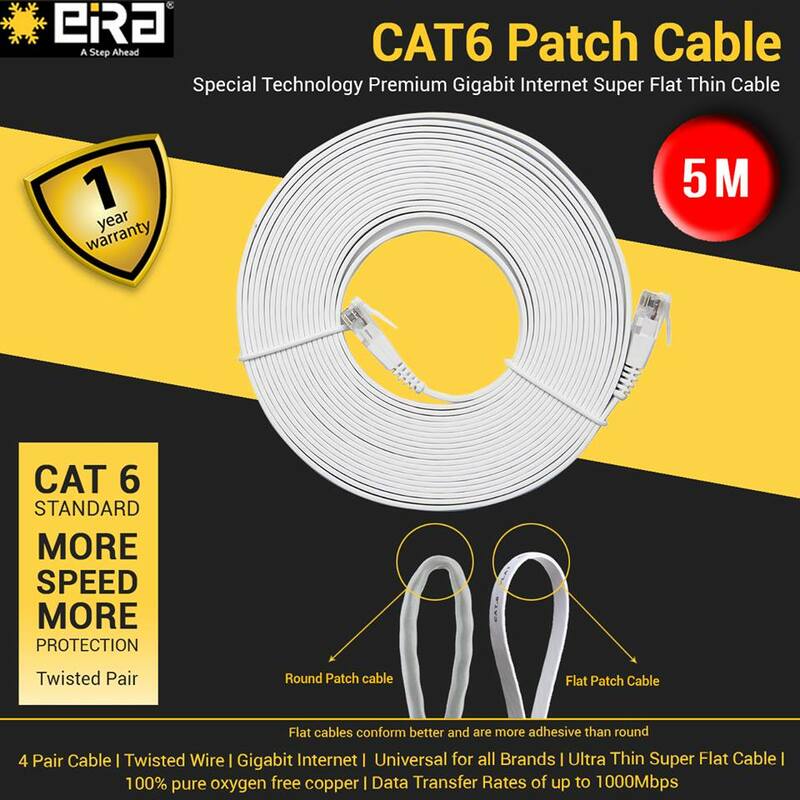 This CAT6 UTP flat network cable is moulded with RJ45 ends which ensure universal connectivity and high bandwidth support up to 250 MHz. 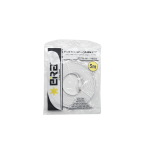 Compatibility: CAT6 Flat Ethernet Patch Cable is backward compatible with CAT5e/CAT5 Cables. Category 6 standard is suitable for 10BASE-T, 100BASE-TX (Fast Ethernet), 1000BASE-T/1000BASE-TX (Gigabit Ethernet). 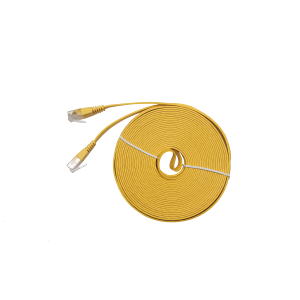 Ultra-Thin Flat Ethernet cable is super flexible when run under the carpet or bent in the plane of its thin cross-section such as doors, rotating arms, drawers, elevators etc and fits perfectly into even the tightest space resulting in the neater, less cluttered appearance.